Congratulations! 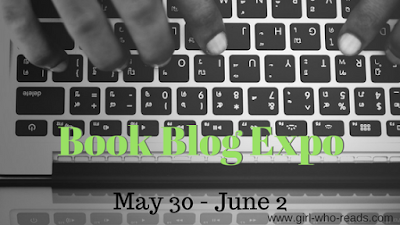 You made it to the final day of the Book Blog Expo. We had a small group this year, but I hope you met someone new. We will have a Twitter chat to wrap things up at 10 am EDT today. Tomorrow is an optional day if you want to do any kind of final thoughts on your blog. Day 4's topic is Blogging Tips. 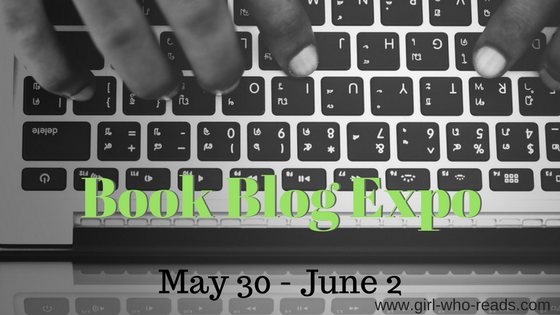 I mentioned in my intro post on Day 1 that I recently participated in a book marketing event with Rachel Thompson of Bad Redhead Media. During the event, there was a post from Coschedule about creating the best headlines for your blog posts. I know I struggle with creating creative headlines for my blog posts. When there's a list it is a little easier to come up with a catchy title, but a single book review... I often fall back to Book Title by Author ~ A Review. But I think it is possible to make even those posts have interesting headlines. A couple of years, the team at Girl Who Reads participated in the A to Z Challenge. While the main purpose of that challenge is to post daily, I use it to encourage my team to think creatively about their posts and in particular the headline for their post. The Coschedule post didn't really tell me much I didn't already know about writing headlines. Though they recommend coming up with 24 headlines before narrowing it down to one, I have always recommended coming up with 10 post titles to share on social media. What I did get out of that guest post was a cool tool they offer for free to analyze your headline. Do you struggle with your post titles? If so, I hope the tool at CoSchedule is helpful to you. If you didn't enter the giveaway yesterday, you still have a few hours. Oooh! Thanks for sharing this!